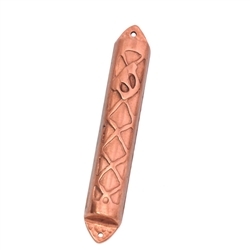 Copper mezuzah measures 4" high. Small (Item #281) parchment recommended. Parchment not included.